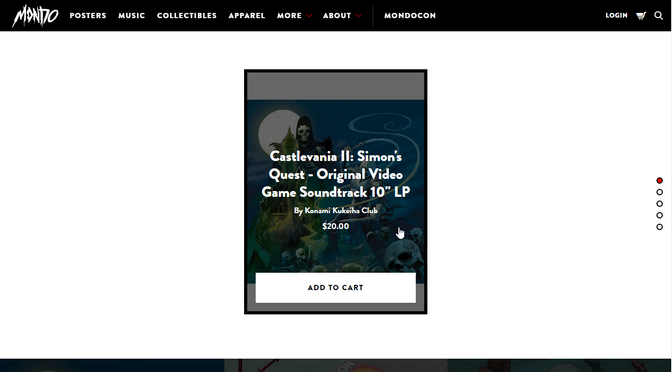 Mondo, the Austin, Texas-based online shop and IRL art gallery, has just released for sale the second title in their five-album Castlevania campaign: Castlevania II: Simon’s Quest. The 10″ vinyl contains remastered music tracks for both the NES and Famicom versions of the classic game. Currently available for order is the Night & Day variant limited to 1,000 copies. The regular version — blue with green splatter — goes on sale tomorrow, January 11th at noon CST. I missed the release of their Castlevania remaster the first time around, and it was sheer dumb luck that I stumbled upon this release just now while researching chiptunes on vinyl. I didn’t even hesitate to order a copy. You can order your copy at mondotees.com.